In the last post I had reviewed the Imiana House Choco-Mint Body Butter. If you haven’t yet checked out that post, do read it now as its one of the most amazing organic body butters I have ever used. Along with that, I had received two soaps as well which I will be reviewing today. The variants I got were Pink Kaolin Clay soap and African Cocoa Butter soap. Nowadays there are a lot of handmade soaps in the market, I don’t even have to tell you about it. I have just got bored of using them and now switched to shower gels. I didn’t have much expectations from these soaps as well. But, on the contrary, once I used it, am hooked to them. They are not like the regular handmade soaps. So what makes them different? Read on to know more. Pink Kaolin clay with virgin coconut oil ,virgin olive oil and sweet orange essential oil. Pink kaolin clay is a skillfully balanced blend of the White and Red kaolin. It is rich in aluminum oxide. This clay is ideal for normal skin types due to its unique balance of properties.This clay provides a profound absorption of toxins and clogged oil from the skin & combats skin irritation and dryness. Sweet orange essential oil is well known for its skin lightening and anti-ageing properties. It reduces Blemishes & Dark Spots very effectively. coconut is one of the true wonder plant .It contains healthy fatty acids require for healthy skin and hair.Lauric, Capric, and Caprylic Acid – These fatty acids from the coconut are antimicrobial agents. Olive oil aka. jetun ka tel is a boon for for skin . It is a great anti-oxidant , Antioxidants may help protect the skin from premature skin aging and vitamin E present in olive oil has anti aging benefits because it helps restore skin smoothness and protects against ultraviolet light. 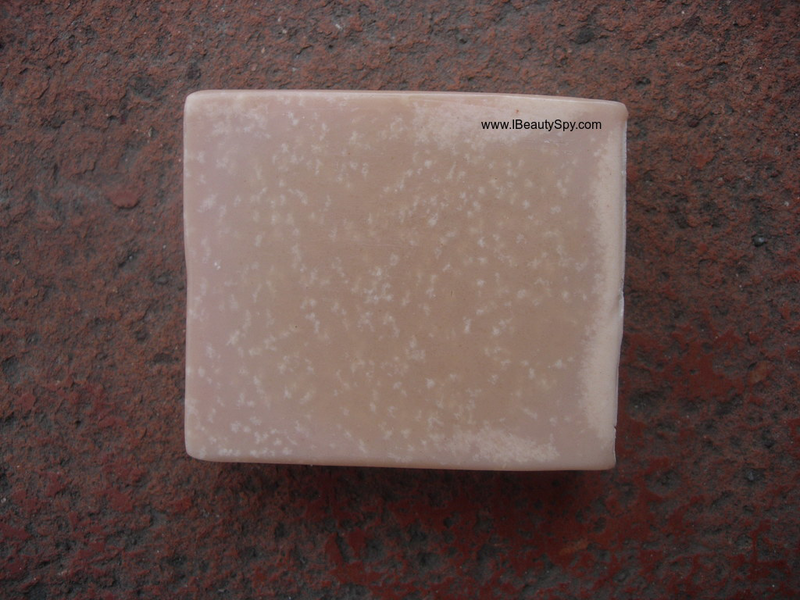 Imiana House Pink Kaolin Clay Soap Smooth & Clear looks pale pink in color with a blend of white spots. The scent is that of pure pink kaolin clay. If you have used pink kaolin clay products before, you know how pleasant and fresh its scent it. The scent will fill your entire bathroom and it lasts for hours. Imiana House Pink Kaolin Clay Soap Smooth & Clear feels so luxurious and soft on the skin. There are many handmade soaps nowadays. But the final product will depend on the quality and purity of the ingredients used. In that aspect, I can say that this soap from Imiana House definitely feels high grade quality and luxurious. 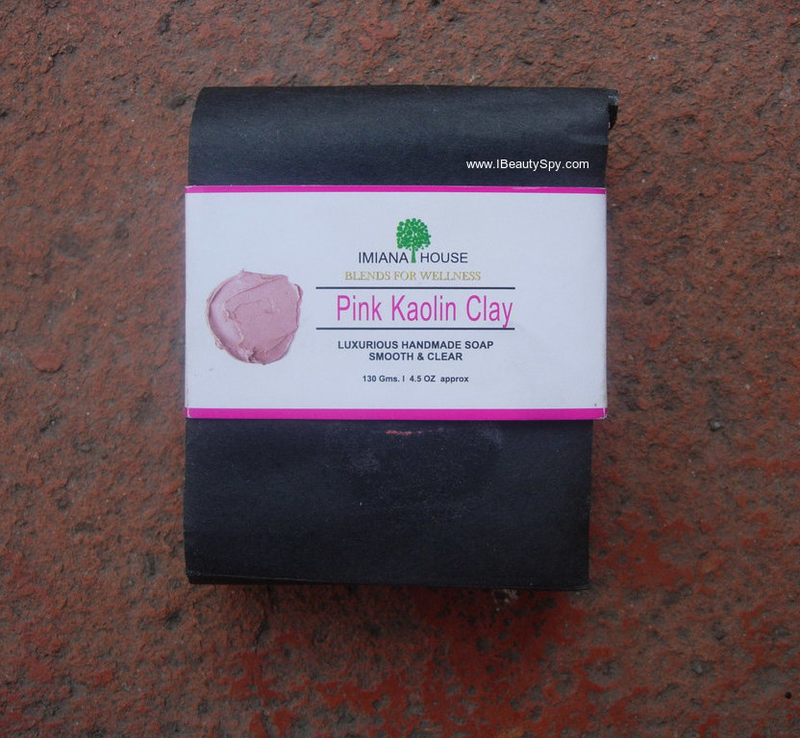 Imiana House Pink Kaolin Clay Soap deep cleanses skin due to the presence of clay. It lathers really well. The lather is soft, light and airy. So it doesn’t dry out skin. Complete your shower routine by following up with Imiana House Choco-Mint Body Butter and you will be left with smooth, soft and supple skin. This soap is suitable for all skin types and all seasons. I can definitely feel my skin is smoother and clear now. African Cocoa butter with virgin coconut oil , castor oil and olive oil. Made with African Cocoa butter as main ingredient and pure virgin coconut oil. Cocoa butter is very effective anti-ageing agent. It naturally soothes and heals sensitive and dry skin. Cocoa butter is especially rich in vitamin E and helps create a protective barrier on the skin. coconut is one of the true wonder plant .It contains healthy fatty acids require for healthy skin and hair. Lauric, Capric, and Caprylic Acid – These fatty acids from the coconut are antimicrobial agents. Castor oil has anti-inflammatory properties hence good for treating sun-burn .Castor oil also stimulates the production of collagen and elastin which delay the appearance of wrinkles and fine lines. 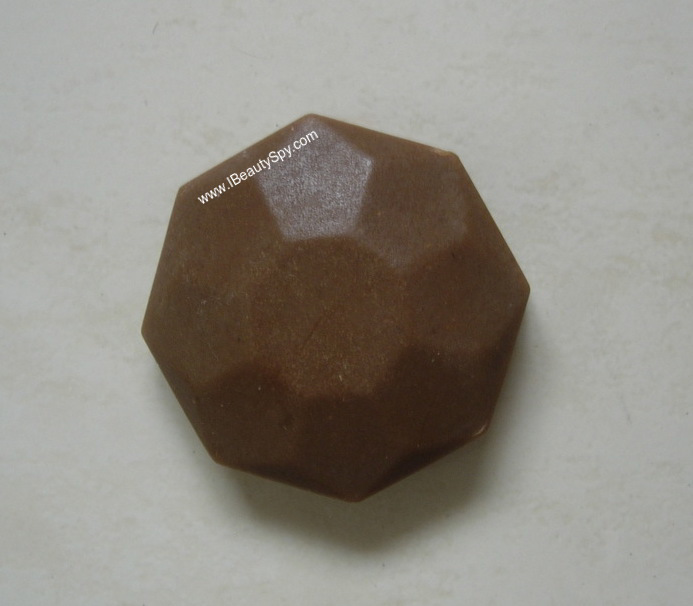 Imiana House African Cocoa Butter Soap looks chocolate brown in color. There is no scent or fragrance at all. So if you are someone who likes unscented products, you can try this. You can also use it for your kids. 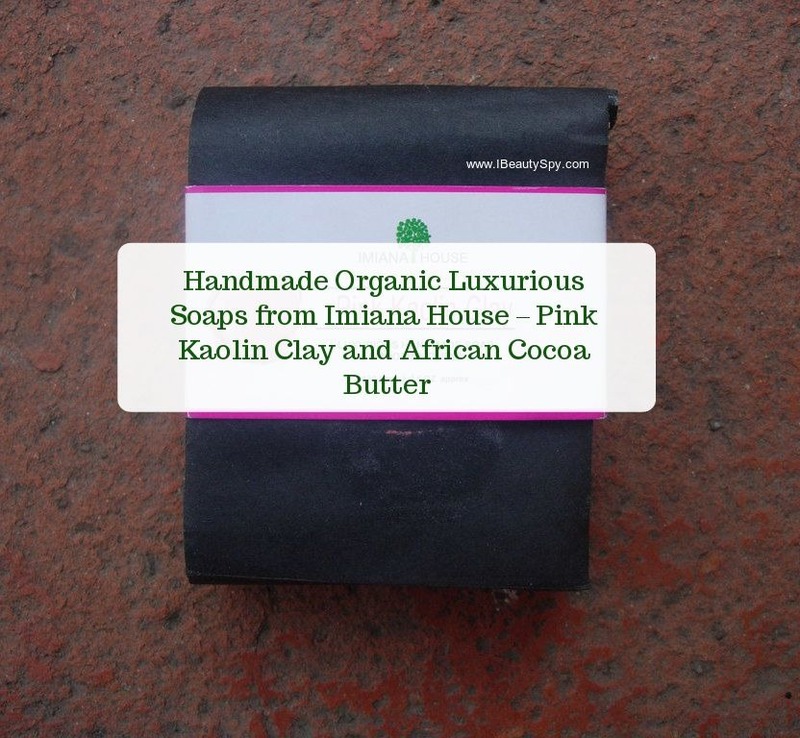 Imiana House African Cocoa Butter Soap is a moisturizing soap made from cocoa butters, cocoa powder and oils. Though its a moisturizing soap, it doesn’t leave behind any slimy layer like those Dove soaps. Skin feels absolutely clean and at the same time nourished and healthy. It lathers moderately, not as well as the Pink Kaolin Clay one. This is a good soap for dry skin in winters. So what makes Imiana House soaps different from other handmade soaps? Many handmade soaps use natural ingredients. But they might not be organic or virgin. Also the primary key ingredients might be present in lesser quantities. Imiana House soaps are made from pure, luxurious, organic ingredients which make the shower experience a real luxury. The price is definitely higher. If you have the budget for it, I would recommend you to try it. Imiana House Handmade Organic Luxurious Soaps are really top-notch, luxury bathing bars which will transform your shower experience. With regular use, you can definitely see an improvement in your skin texture, smoother and healthy. If you have the budget for it, I would recommend you to try them. I love trying out handmade soaps 😍 this brand is quite new to my ears! The African cocoa butter soap seems to be a good one. Kaolin clay soap is attracting me. I wanna try it.